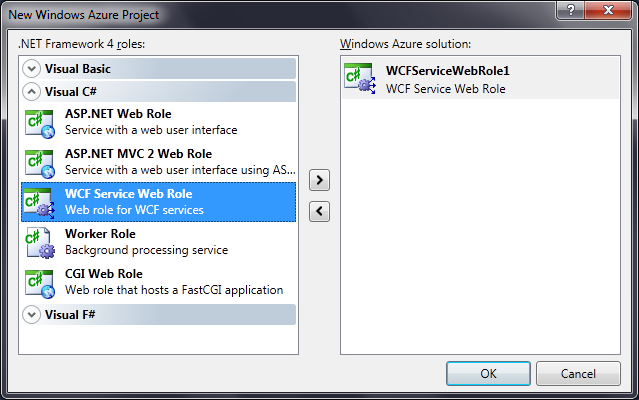 WCF Service Role enables us to create WCF service and host in Windows Azure. 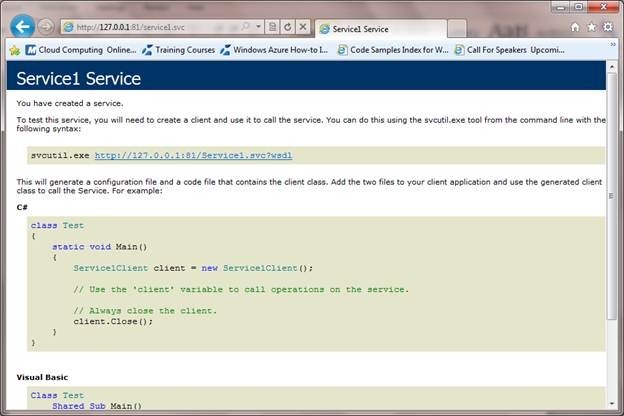 In this article, we will create a WCF Service Role and host on local development fabric and consume in a console application. 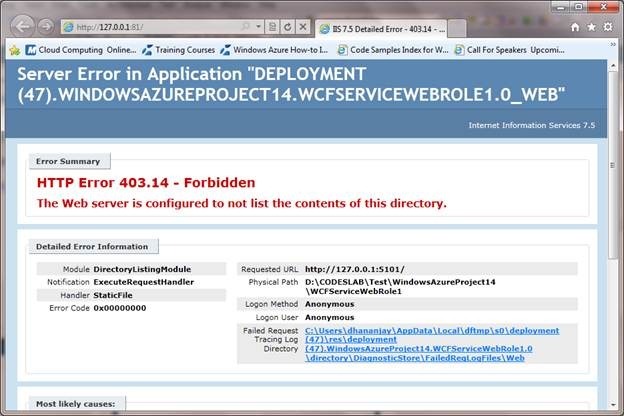 In second part of this article we will move WCF Service to Azure portal. 4. Select WCF Service Role from given options. We can modify these files accordingly for our purpose in exactly the same way; we do in usual WCF Service Application. Make sure you have set Windows Azure project as Startup project and run the application. In browser you will get below error message. Ignore this message and append service.svc with URL, so now URL would be http://127.0.0.1:81/service1.svc. 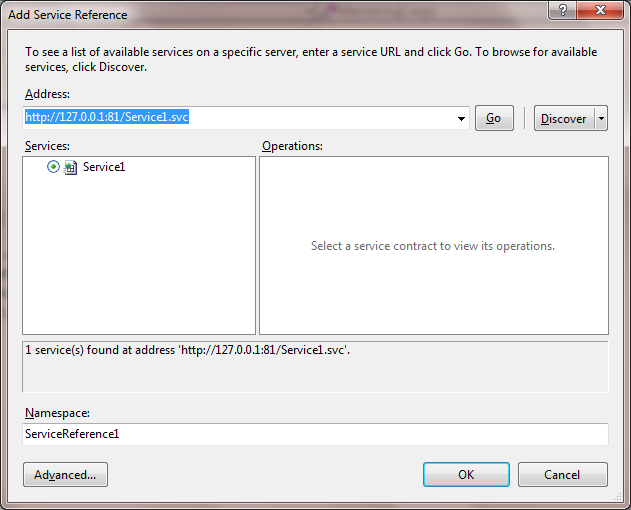 Service.svc is name of the service definition. After appending you will get usual WCF Service message in browser. Now when you run you may or may not get below exception. 127.0.0.1 to localhost. 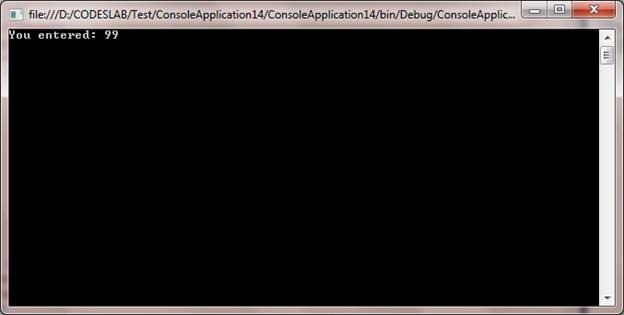 Because it might be the case console application is not able to resolve 127.0.0.1 . we need to change to localhost. 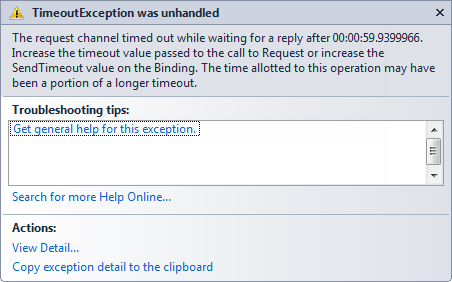 One behavior need to be noticed here is that sometime you may get time out exception after changing 127.0.0.1 to localhost also. In my further articles, I will drill down this unwanted behavior.